Young people in Knowsley are set to benefit from a pot of money which the council wants them to use for trips and new youth facilities. As part of The Big Deal, a panel of 13-19 year olds from the borough have been given the power to make decisions on how funding of £240,000 should be spent over the next year. Do you have the je ne sais quoi to work as a receptionist, porter, chef, or concierge? Then you could be one of 40 unemployed Knowsley people who are being given the chance of a lifetime by Knowsley Works to train and work in Paris. Extreme sports such as skydiving, skateboarding and windsurfing are being brought to life in Knowsley for young people thanks to a £100,000 Big Lottery grant for dynamic structures play equipment. 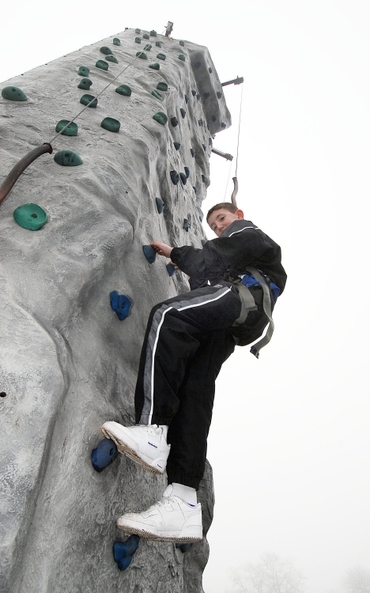 Feeling the thrill and fear without the risk, is encouraging young people aged 11-16 years to become more active and enjoy sport since the introduction of the new equipment, which includes a climbing boulder and multi games area at the King George V Playing Fields in Huyton. Merseyside Fire and Rescue Service is supporting National Chip Week (12 – 18 February 2007) by urging people to cook chips safely. Around 8,200 chip pan fires result in 31 deaths and nearly 3,000 injuries in the UK each year so it is vital to reduce fire hazards and cook safely. KCC Live became the latest media portal for the Liverpool Centurions. Knowsley Community College is the base for KCC Live radio which is staffed by students of the college. 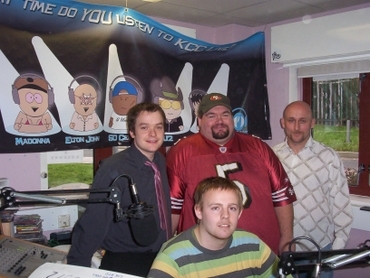 KCC Live Head of Sport and Centurions Offensive Lineman, Andy Phennah (seated) invited Communications Director Paul Macdonald and Chairman Jon Askew into the studio to promote the team and explain to the listeners what American Football was about, and what the Liverpool Centurions were doing to promote the sport in the area. While at the studio Paul Macdonald also talked live on air about the upcoming Superbowl. A series of interviews were recorded that will be broadcast over the coming weeks on the Monday morning sports show between 11am and 12pm. You can listen to these shows by visiting their website www.kcclive.com or tuning into 1251AM. Alternatively you can now listen to KCC Live direct from the Liverpool Centurions homepage by clicking on the Listen Now button. Heatwaves Leisure Centre in Stockbridge Village will be hosting a weekend of free taster sessions this Saturday and Sunday (10 and 11 February). Between 10am and 4pm each day, visitors can try everything from street football and indoor bowls to Indian head massage and Salsa dancing. Download full details here (PDF format). Salsa dancing, street football, face painting, and indoor bowls are among the free fun on offer at Heatwaves Leisure Centre, Stockbridge Village, this weekend (February 10 and 11). The Active Knowsley event aims to encourage people to rediscover their local leisure centre and get a taste of some of the varied activities that are on offer there every week. As well as the sports and dance sessions, there is the chance to have a health MOT, with fitness testing and information about healthy eating, giving up smoking and community walks on offer. The fun takes place over the whole weekend, with activities both in and out doors. 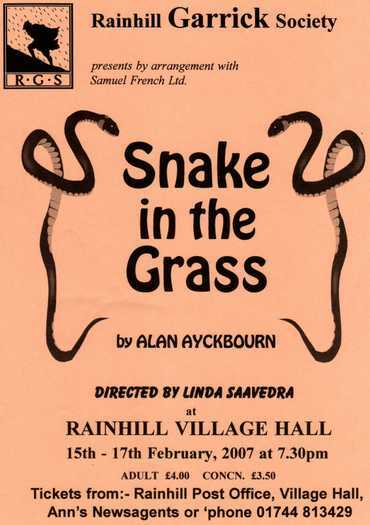 For full details of times, contact the centre on 0151 443 2750. Half term is here and in Knowsley the Hustle is back on! Next week there are hundreds of activities on offer to keep the borough’s young people aged 10-19 amused while schools and colleges are closed. Once again, everything from sports, drama and music to arts, dance and computers is on offer each and every day at venues right across Knowsley. The top of the table clash was a great game but marred by some terrible umpiring decisions. That said Prescot still top the table with 7 matches remaining and will be looking to secure promotion as early as possible. Key players return this weekend so a win is vital to head the table into the home run.